A year after introducing a humidor in which to store baseballs, the Diamondbacks made yet another potentially significant change to the way games will be played at Chase Field: They have replaced the park’s natural grass with a state-of-the-art artificial surface in a partnership with Shaw Sports Turf. The B1K Natural Turf is a dual fiber system comprised of Shaw’s high-performance Strenexe XD slit firm and Shaw’s Bolt mono filament. 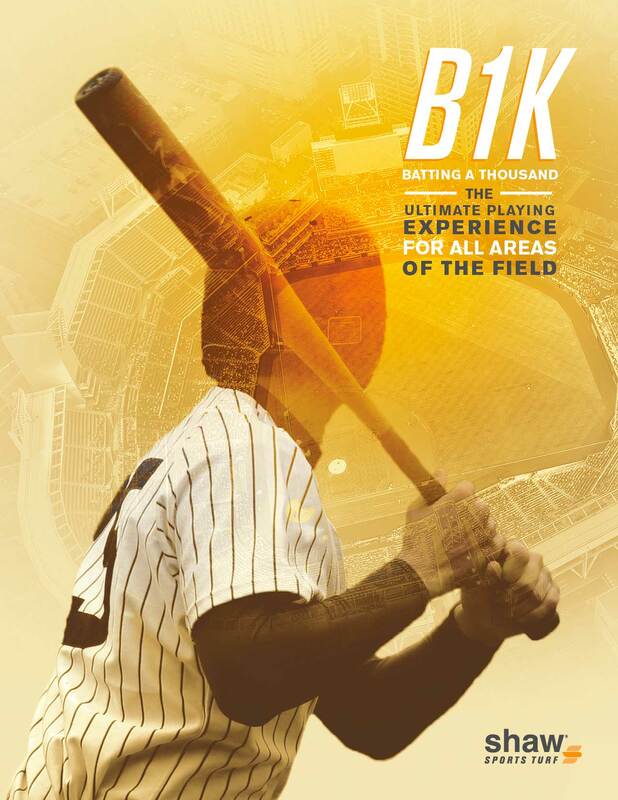 Shaw Sports Turf is the only company with years of research dedicated to collecting data specific to baseball resulting in the all-new B1K system. Playing on a surface tailored for baseball creates a more consistent ball bounce allowing players to react more naturally when fielding hits. A firmer and more accurate surface also minimizes fatigue and soreness providing less energy rebound and less leg stiffness. We are honored and humbled to be trusted by DBacks organization to develop a turf system that plays true” said Philipe Aldahir, Director of Research for Shaw Sports Turf. The B1K natural system features Geofill, an all-natural infill made from coconut husks and fibers. This natural alternative infill feels and plays like dirt with added cooling benefits and water savings. The team will reduce its water use by 90 percent, which equals nearly two million gallons. Currently, the team leaves the roof to Chase Field open for much of the afternoon in order for the grass to get enough sun to grow. After it is closed, the stadium then uses an enormous amount of air conditioning to try and cool the facility down enough for fans to be comfortable that night. The new turf is made from completely natural materials that are environmentally friendly and the roof will now be able to be closed during the day conserving the amount of electricity needed to cool the building.